Waterfall Info: This is the lower of three waterfalls on low-flow Falls Branch in the Cohutta Wilderness. It's best seen during periods of high flow. 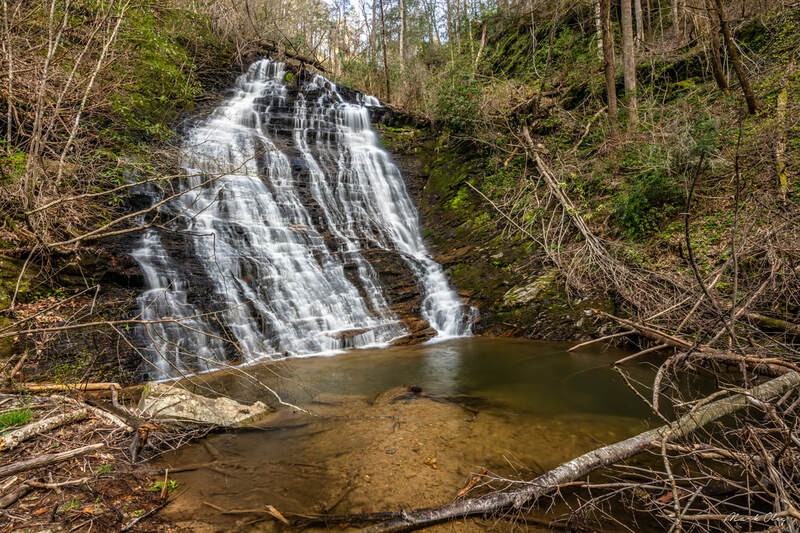 The waterfall's name comes from its hidden nature despite being close to a popular trail. Access Info: To get to Bigfoot Falls, you'll follow the Jacks River Trail initially. Then, you'll have to cross the Jacks River off-trail and bushwhack up/along Falls Branch to the falls.